On the advice of a wonderfully wise fellow writer, I suppose I ought to reveal to you all the source of my own grief. While the telling of the whole story is something I’ve never attempted, I am sure I could fill a book with the ups and downs of my mom’s illness, her passing, and the beginning of my grief. Here, however, is the blog post version- as quick as I can make it. I suppose my story truly begins with an explanation of what used to be. Growing up, I was a lucky girl. Besides some drama with grandparent illnesses that resulted in miraculous recoveries, nothing bad had ever really happened to me- or my family. I was well-liked, smart enough that high school was a breeze, happily busy with constant music and dance extracurriculars, and talented enough at those activities to get into the university of my dreams. To top it off, my family was- is- absolutely amazing. We weren’t well-off by any means, but we were rich with love and belonging. My parents were both high school teachers who had fallen in love on summer break between school years. Dad is a grounded, patient, friendly and deeply good man. Mom was a smart and sweet little helicopter mother who made me her whole world. My parents were so in love that I had never seen them argue, and we all made time to spend with each other as often as possible. Family dinners were a riot when we could squeeze them in, and, when we couldn’t, my parents would both stay up until I came home late after rehearsal or dance class with dinner waiting. We would stand around the kitchen recapping the day together while I ate- the lights dimmed low so I could start mentally winding down for bed. It was one of my favorite rituals. We all knew I would much rather spend a Friday night in with my parents than go to any party. Okay, now I sound super lame- but the point is I was busy and loved and supported and very comfortable with myself and where I was headed in life. Heading off to college was tough. My parents couldn’t get time off work to take me to school, so they shipped my belongings and stuck me on a plane to Elon, North Carolina. I had never been so far from home or so alone; I sobbed all the way to the East Coast. I quickly found an amazing community of friends and teachers, though, and after my first year I was pretty accustomed to being a whole day’s worth of plane rides away from home. (Flying to Montana isn’t the easiest or cheapest feat.) My parents only visited once that year, and my friends even noticed what a special bond our family had. My dear friend Mara called my parents “#goals”. I loved that other people saw it. At the start of my Junior year at Elon, things started to change. It was just a few weeks into the semester when I found out that my mom would be having a routine hysterectomy. My parents told me it was no big deal, and they truly didn’t believe that it would be. About a week later, I was at the student gym on the elliptical and shot Mom a quick text, thinking she probably wouldn’t see it for a few hours since she was supposed to be in school. “Hey, how are you?” She replied faster than I expected. “I’m ok.” I can perfectly recall standing there on the machine, one leg suspended in front of me, as my stomach dropped. Something had to be wrong. I tore off my headphones and rushed for the bathroom so that I could call her. My mind reeled as she told me that they had found cancer in her uterus after they’d removed it and performed some tests on the tumors that were supposed to be relatively normal and harmless. I sat there crouched against the wall as we talked, girls walking past giving me worried looks. My mind was in a panic but also clinging to the positive qualifiers she was giving me like “we don’t know what stage it is” “we shouldn’t be worried yet” “it might be fine, we just wanted you to know.” My mom had to be fine. Right? From that point on, college was a blur. I was an emotional wreck who longed to be home but knew my mother would kill me if I dropped out without finishing my degree. So I went on auto-pilot. My classmates loved on me like crazy, but no one knew exactly how to check in to make sure I was doing okay. 19 year olds have a hard time bringing up difficult subjects. I got myself in touch with a school therapist and started seeing him as often as possible- that man is perhaps the only reason I managed to graduate. My professors watched from a distance as I floundered in their classes. I was still smart enough to scrape up the A’s with minimal effort, but my growth as an academic and an artist had entirely stalled. I remember writing apology emails to my teachers for my poor performance. Most of them responded that they hadn’t realized anything was wrong- that I was doing well. This was the point at which I learned how expert I was at hiding my feelings, even when I really needed them to know. You probably notice that I’m talking about myself a lot. What about Mom, how was she doing? Well that was the thing… I didn’t really know. Whether my parents had made a deliberate decision or not, they weren’t sharing much information with me or sending regular updates. I knew about which treatments were happening, knew how she was feeling day-to-day as we were in almost constant contact; the big stuff was never shared with me, though. I never knew her prognosis. To this day I still can’t tell you what stage her cancer was at the start of it all. I flew back and forth as often as I possibly could to be with Mom and Dad, but even then I was only able to make it home four times that entire school year. The separation was devastatingly alienating. I was an island all on my own, waiting for updates that were never coming. Of course I was worried, but I figured it couldn’t be all that bad if no one had bothered to tell me. That thinking led to our big blow-up that spring, when it was finally revealed that there was an actual chance Mom could die. Of course it was always a possibility, she had cancer. Logically, I know that now; but at the time, those words had never been spoken to me. After that spring break, I was determined not to go back to school, that my parents needed me and my place was at home. They put me back on that plane to Elon, anyway, assuring me that if the situation became truly serious, they would tell me and bring me home. By July, my mom was in 99% percent remission, and I was moving to Nashville for the summer. We were all elated, but the psychological effects of mom’s illness that we had all been suppressing so determinedly started to reveal themselves. I went absolutely wild that summer. Without my weekly sessions with the school counselor to juggle the relief and residual grief and terror, I was a loose cannon. Eventually, we started to feel ourselves return to normal, and I headed back to Elon for my last year of college. I was excited and hopeful to jump back in and regain some of the ground I had lost the previous year. Our relief was short-lived, though. Within six months, Mom’s remission was over, and she was headed back into treatment. By my graduation, she was back in remission. It felt like life might become a never-ending cycle of treatment and remission, but that gave us quite a bit of hope that her cancer might become manageable in some way, gave us hope that it could be tamed into submission when necessary. One night during my Senior spring semester I came across a picture of what my mom used to look like- the Mom I knew for my entire childhood- and the image knocked the air out of my lungs. On the left is the picture I had found, and on the right is my mom at the time. As I reflect on those years, I realize my family’s experience with cancer had much more of an effect on my emotions than I had been willing to admit at the time. I tore through my second half of college with pent-up aggression from feeling powerless and scared. I battled against my parents for not telling me details- while being so frightened of those details that I didn’t fight to move home. I wish I would have. I moved straight home after graduation, not even considering trying to move back to Nashville or to New York, like all of my classmates. It never even felt like a decision I had to consider. I was ready to finally feel like I could be there for my parents as I hadn’t been able to while I was in college. Mom was in remission, but by then we understood that remission was a relative term. Cancer could always come back, and we knew that. We just didn’t realize how quickly it would do so. The pain started in Mom’s back, and it was excruciating. Her discomfort was nearly constant, which her doctors said was most likely just a side effect of the medication meant to boost her immune system. We spent the whole summer trying to manage her pain, trying to help Mom feel more comfortable. I got a job at a local department store to make some money, but mostly I spent as much time as I could at home. Summer turned to Fall, and the pain wasn’t going away. One early morning in mid-October, Dad woke me up and said we needed to take Mom to the emergency room. She had woken up without the ability to move the entire side of her body. We spent the next two weeks in the hospital, and I was having a hard time grasping how quickly our situation had changed. Hadn’t her scans been clear? We discovered that the cancer had gone into her brain, and rigorous radiation treatments started, trying to attack the rapidly growing tumors in her head. But I remember a nurse absentmindedly calling her an “end-of-life patient” in front of me. I felt smacked in the face by those words. For the first time since her diagnosis, I was able to be there. I quit my job. I spent the days at her bedside, and finally got to rub her feet, to bring her treats from the bakery, and fashion fancy head scarves. I was so overwhelmed by all the people who loved her and wanted to know what was going on, that I started a simple blog where Dad and I could update everyone without having to spend too much time on our phones. When we finally got to take her home, we had a big hospital bed set up in our living room. From there, we shuttled her back and forth to and from the hospital for radiation and chemo. There came a week, though, when her white blood cell count was too low, and she wasn’t allowed to get chemo that week. Maybe next. She was so frustrated- we all were. The next week was the same. No immune system, no chemo. Mom’s hospital bed in the middle of our living room. On November 19th, just a month past the first resurgence of her cancer, Dad was waking me up to take Mom to the emergency room again. Mom had woken up and… wasn’t Mom. We were told in the ER that hospice care needed to be arranged. I went out into the hallway and sobbed. I remember seeing a boy who had gone to my high school, and realized I had makeup smeared all over my face. Every little detail of that morning will forever remain in my memory. It was the second-to-worst day of my life. Dad and I decided to tackle Mom’s hospice care on our own and only received visits for a professional hospice nurse twice. Otherwise, we did it all ourselves. Mom had so many visitors from family, students, old friends, new friends. It was a joy to see her surrounded by such love and tenderness as she faded from this world. We almost never had an empty house during the daytime, even though she wasn’t very present for most of the time. The tumors in her brain were impacting her ability to speak and think, impacting her ability to actually be her. Sometimes she wouldn’t be. There were times when absolutely nothing was going on in her eyes; but then we would have her miraculous wake-up moments, where she would once again be herself, and she could talk and think- could remember us. I thought I would never get to talk to her again in my life, and then she would return to us out of the blue, as if her soul was coming and going from her body. Those were the precious hours. On her last “wake-up”, I slept in bed with my parents that night, my mom snuggled in between my dad and me. We had already broken the news to her that she had been placed in hospice, as she had been absent from herself during that trip to the ER. I have never seen such devastation in someone’s eyes. It is an undignified thing, for a body to shut down. Painstakingly slow. The details of it aren’t important, but just know it was awful to witness. I refused to leave my house, desperate to get every second left that I could with my mom. My Dad and I kept up our blog, trying to update her loved ones on the state of her condition. Exactly a month from the day Mom entered hospice care, she passed away. Dad was napping beside her, and I was on a bench next to the bed, writing an update. Dad awoke and got up to head to the kitchen, and I called him back, realizing she’d taken her last breath. Strangely enough, we were in a panic, as if this wasn’t what we had been expecting. We held Mom’s funeral two days after Christmas, which was a blessing as many of her former students were home for the holidays. The church was packed to standing room only, with some people left to just listen from the stairs at the entrance. As I stood at the pulpit to give the eulogy, I looked out at the crowd and was glad to see how many people had cherished my mom as much as I had. For a time after her death, everything was confused. My memory of Mom’s time in hospice slipped, due to PTSD I was later told. Dad and I got ourselves out of the house because we knew we had to, though it was only ever to keep ourselves moving. And that’s where this blog comes in. 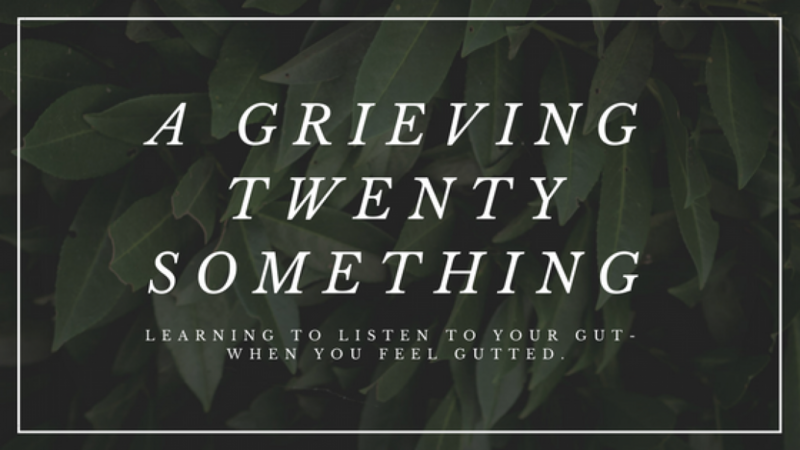 I have been tackling this grief for over two years, and each day teaches me more and more. I’m sure we’ll start to cover the rest from here on out. 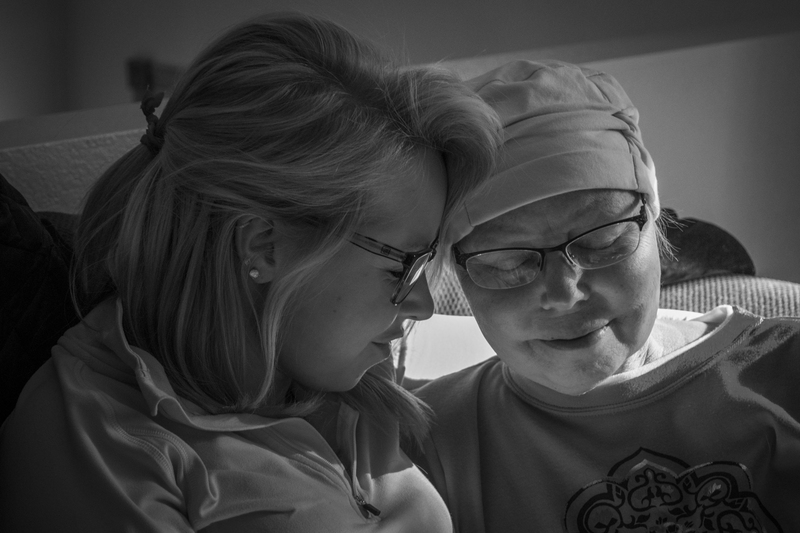 As hard as grieving will ever be, Mom’s fight with cancer will always be harder. The hardest part of grief is actively remembering what happened to you. What you lost. I think this is also a good time to remind myself: this grief is valid. My family has been through a nightmare, and now it’s my dad and I’s responsibility to do the best we can with what we’ve still got. We are happy to do that, knowing that Mom is so proud of our efforts to live fully in her honor. I must admit, writing this all out damn near knocked me flat. But maybe that’s the essence of this blog- that even after over two years this story still leaves me in tatters every time I really think about it. Grief isn’t linear. It isn’t a journey with an end. It isn’t something I get to turn on and off. It’s the job that I never wanted and can’t ever quit. I encourage you to start sharing your own story with others, or at least write it down for yourself. It’s been an empowering, eye-opening process to create a roadmap of what brought me to this point, and I would love to hear your own stories. I don’t pretend to have the answers, but I do have a lot of questions that I actively and decisively explore every day. If you’re down to explore with me, then welcome! Next Post Processing Grief is a Personal Preference: How I Figured Out the Way I Process Grief.